The rise and rise of the popularity of the Ocean Crusaders Paddle Against Plastic campaign continues as 124 amazing community members from the Deagon Region of Brisbane turned out on a stunning day to smash all records. Courtesy of a sponsorship from Spinnaker Sound Marina and a grant from the Brisbane City Council (courtesy of Councillor Jared Cassidy), Ocean Crusaders were able to spend two days in the lead up to the event further upstream in Cabbage Tree Creek. 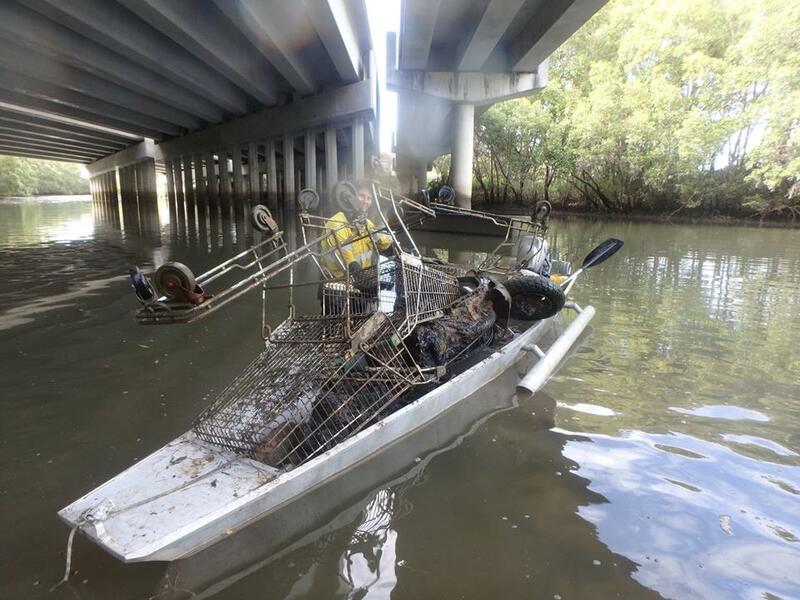 Heading towards the gateway motorway bridge, there was plenty to remove including 10 trolleys, two bicycles, a moped, an air-conditioning unit and around 12 large bags of debris all scattered under the bridge. With Salter being joined by Mark & Maura Harvey’s new ‘Skinny Tinny’ we managed to fill Salter to the brim by mid morning only to find that the tide was too high to get under the bridge at Sandgate Road. So we had a play around in Herb Holz Park to find a drain that was spewing out lots of debris and a mangrove patch that was littered with illegal dumping and other trash. 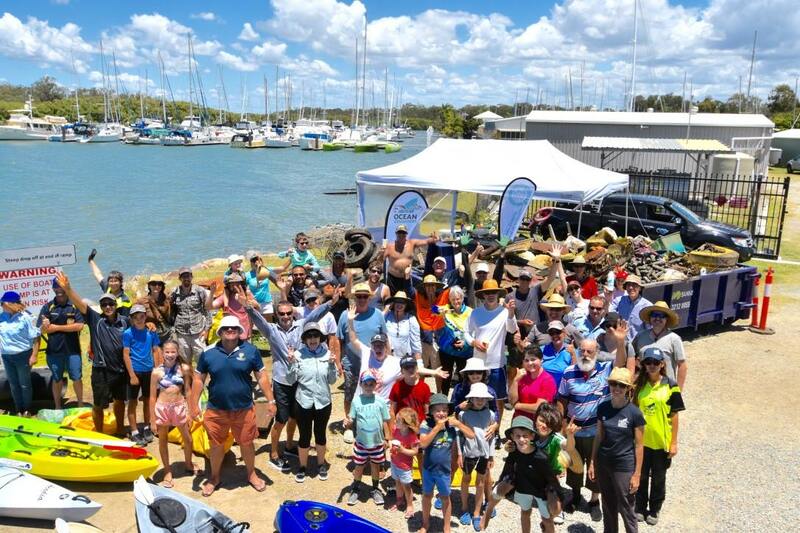 As soon as the tide was down we headed back to our base at VMR Brisbane who kindly hosted our entire event. Suez Australia had supplied us a 12 cubic meter skip bin and it was nice and shiny but it wouldn’t stay like that for long!!! We quickly unloaded and headed out for round two picking up several larger items including large polystyrene floats that have come off one of the derelict boats we presume. 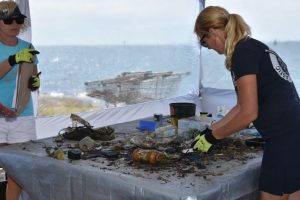 We also found a dredge pipe float (Large yellow item in photos) and started to find the many glass stubbies that would become the talk of the clean up. Day two and our team of 5 headed out again and continued to pull in larger items and then we started on the smaller items upstream. The issue was that we just didn’t have enough time to cover much ground. We literally need to start at the top and scour the entire mangrove systems to remove what is decades and decades of built up trash. Every time you went in for one item, you would spend the next 5 minutes filling a bag and even then you could do more if you had the ability to carry more. There were glass stubbies buried in mud amongst the mangroves everywhere. The boats were filling up way too fast and again we had to make a middle of the day run. Considering Salter is a 7m landing barge and can take a load of 1.3 tonne, it gives you an indication of where things were heading. By the end of day two and the completion of our ‘Commercial Cleaning’ operations, we had already removed 2,582kg of debris and the skip bin was already looking fairly full. We also had a pile of metal that wasn’t to go into the bin as the team from ‘Just In Scrap’ were going to come and remove that for us and we had to keep tyres out of the skip as they are a regulated waste stream. Sunday morning came and it was all systems go. By 0900 the ramp was covered in a full frenzy of color and enthusiasm as paddlers of all types of craft hit the waters. There was a conga line of kayaks heading around the marina and upstream. 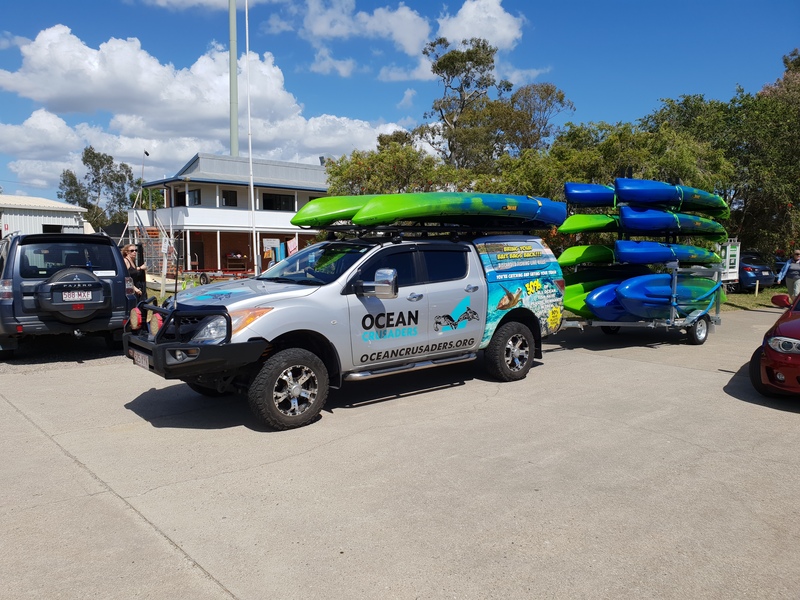 The sight of our new Kayak trailer turning up with a fleet of kayaks that belong to Clontarf Beach State High School was special as the color of the craft fitted in with our vehicle quite nicely. As soon as they were unstrapped they were hitting the water. We set out in Salter to help collect the debris from kayakers as did Mark in our new rescue vessel ‘Sweeper.’ Kayakers were deep in the mangroves and as soon as we got close we heard calls of ‘can you get this tyre’ or ‘these bags are ready to go’. 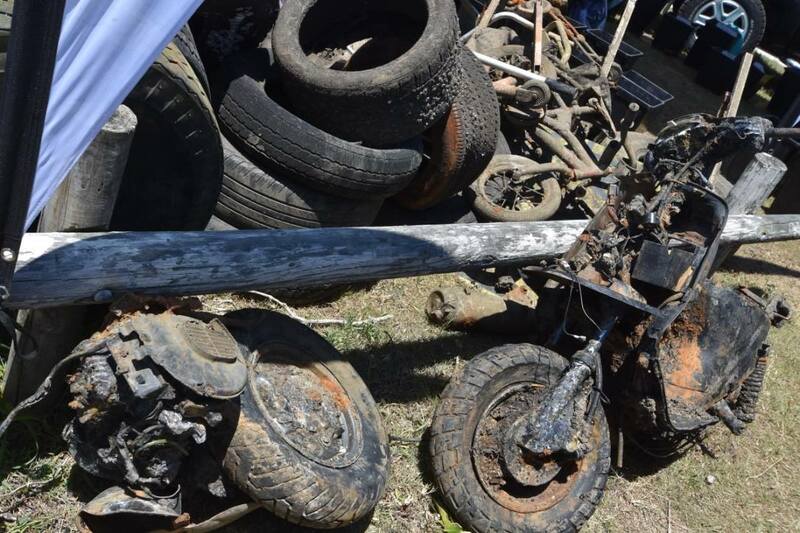 It was seriously impressive how committed this community were to getting this debris out. This data has now been uploaded into the Australian Marine Debris Initiative Database where other organisations can use our data to develop source reduction schemes to stop this debris getting into our creeks and waterways in the future. Stopping it at the source is the best option, however the next best is to stop it at the drain systems where most things wash in. 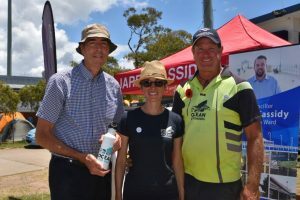 So it was awesome to meet Rod who owns the Bracken Ridge McDonald’s who pledged to fund the installation of the first drainage collection device for the region. He also has committed to making his store have Ocean Crusaders Straw Free Mondays. Combined with the national ban of plastic straws by McDonald’s in 2020, this is where things need to head. Big corporations making changes for the good. Along with the recently introduced Cash of Containers scheme, we just shouldn’t see this number of bottles in the waterways ever again. They are now worth 10 cents so people won’t be throwing them away…we hope. Thank you everyone who was involved in the fantastic event.